In addition to the category winners, we also congratulate the Night Terrace team for taking out the Convenors’ Award for Excellence. Well done to all the winners, and to every finalist for their wonderful work. 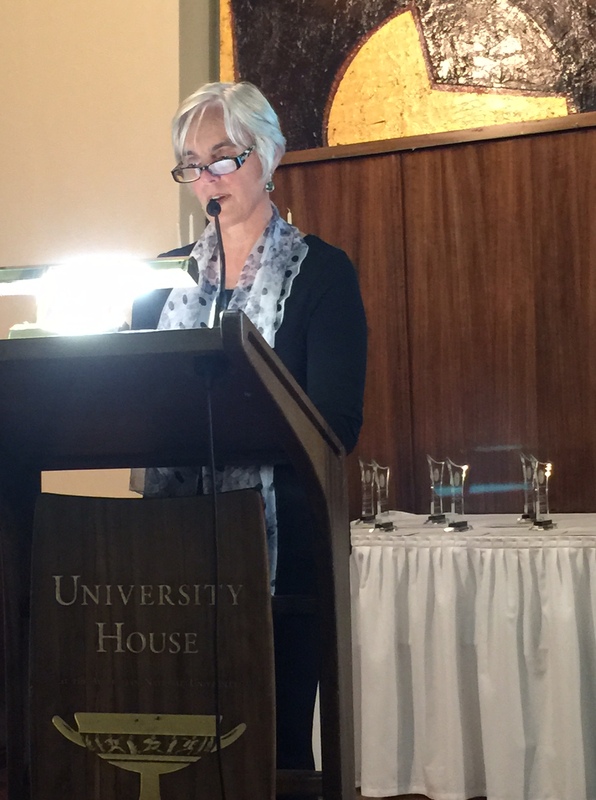 This entry was posted in News and tagged 2014 Aurealis Awards, Aurealis Awards 2014, awards ceremony, Convenors' Award for Excellence. Bookmark the permalink. 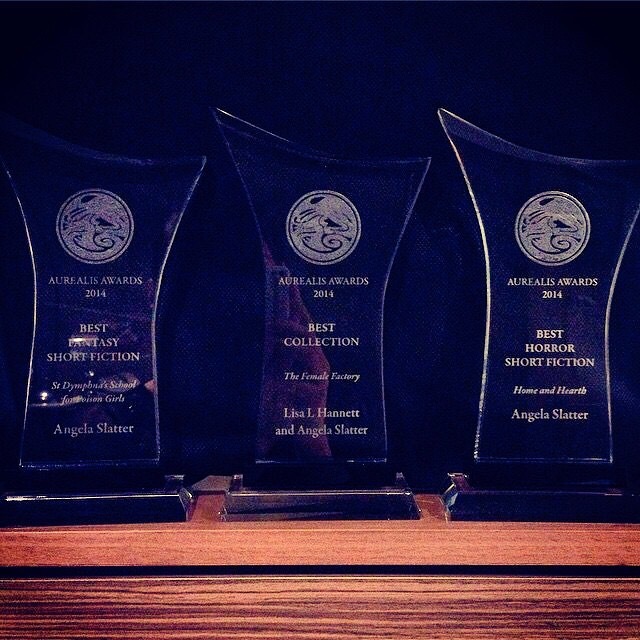 Pingback: FableCroft » Congratulations Australian Awards Winners! 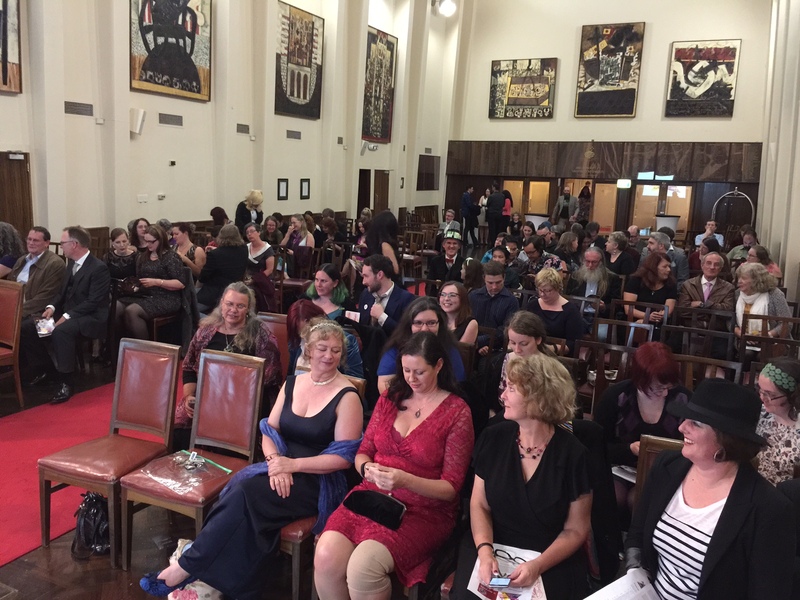 What a great time I had at the 2015 Aurealis Awards. Such talent we have in Australia! Reblogged this on High Fantasy Addict. It was a great night! I looked for myself in this photo and realised that must have been when I went to fetch more free wine, because wine. My reading list has blown up to epic proportions.